Supporting Clinton May Be a Foolhardy Move for Black People; Who Knows? I have always believed in voting for many imperative reasons. But I have mainly been driven to do my civic duty because it is a privilege that our African American ancestors tirelessly fought for—a legal symbol of equal rights. But disappointingly, the upcoming election of 2008 may find me a no-show at the polls. And I say this with lament. But in light of recent events and facts that I have discovered, I personally feel like the candidacy options are dismal. I started off cheering on Senator Barack Obama for a plethora of—what I believed to be—good reasons. But recently, he has carved a path of inane decisions and wrong moves that has left the bulk of the same-gender-loving and gay and lesbian community displeased with him—myself included. That’s when I realized that the Democratic community was in big trouble. But how so? 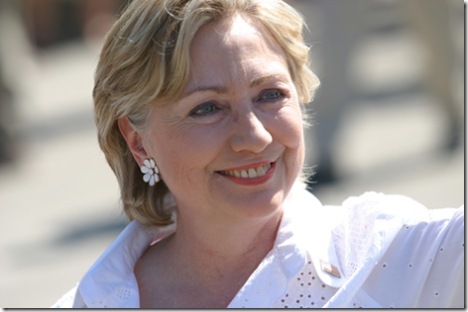 We have Senator Hillary Rodham Clinton running for the presidency, too. She’ll save the day. Perhaps not. After some recent data I just read, honestly I am not so sure. Many people (especially black people) may be surprised to hear me rethink my vote for Mrs. Clinton considering the longstanding love affair with the Clintons that black people have nurtured over the years; I, too, have been entwined in this romance. You couldn’t convince me that the Clintons would not be our ace in the hole to redeem this political debacle. I mean, when Bill Clinton was President, I loved him. But now in retrospect, I think I loved him solely because he was beloved by other (black) Democrats. Think about it: When I was growing up, I always heard black people say that they were Democrats because that particular political party was in favor of black people. And sadly that was the only reason they could furnish. But unfortunately, this is not completely true. Yes, the Democrats were for funding social welfare programs to help the poor, but overall they never have been a party that supports race. They support assisting the poor, and it just so happens to be a fact that minorities are the majority when it comes to being poor. So in hindsight we have been bamboozled to believe that the Democratic Party is the Peter Pan of the black race; probably because between the Republicans and the Democrats, the Democrats come out as the better choice. But the question is, Should we be choosing any of them? 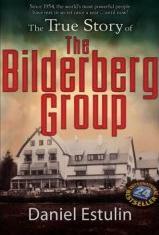 I hate to break the news and expose this secret—which really isn’t a secret at all, just only to a large number of black people—but I recently found out from reading an article by Adeeba Folami, a writer to The Atlanta Voice, that the Clintons are affiliated with the Bilderberg Group, which has been described as a “secretive shadow government.” In the international bestseller The True Story of the Bilderberg Group, award-winning investigative journalist Daniel Estulin, who has been researching the Bilderberg’s for over 14 years, makes the case that this shadow government’s top priority is to do away with sovereign nation states and place them under the jurisdiction of “an electronic global police state.” Estulin claims that both Clintons are members of this group. According to Black Listed News (BLN), Mrs. Clinton has been approached by activists in California, Nevada and New York about her affiliation with the group, but has yet to issue a response. Now what if she really is an agent or cohort of this alleged “shadow government,” how much would she really be in favor of blacks or anyone else for that matter? But black people, including myself, didn’t think so. Bill Clinton has been referred as “the first black president” by the Congressional Black Caucus in 2001, and he was even made an honorary member of the Arkansas Black Hall of Fame in 2002. But now I’m wondering if we all have been hoodwinked in the worse way? Honestly, I thought Bill Clinton was an excellent president, despite controversy. But perhaps there is so much more that we do not know and understand which is why it’s so important to read more about politics if you’re planning on being proactive at choosing members in office. It’s time to be more involved in these matters of our nation in order to make educated and well-informed choices when voting instead of naively voting based on popular and traditionally ignorant reasons. If we continue this practice of believing everything we hear without researching the validity of the politicians’ intentions, we mine as well be voting for the devil, or just not at all.